Moon Mother Hemp Company might just have everything you’re looking for in a CBD company. Its tinctures and topicals are made from organic, high-CBD hemp grown on a small farm in Colorado. Jessica and Edward Bates oversee the entire process, from planting the seeds, to selling the finished products. At every step, they are focused on using sustainable and environmentally responsible practices, and on creating clean products that will enhance your health and well-being. I recently spoke with Jessica, the owner of this amazing company, to learn more about what keeps her customers coming back. It starts with knowing a lot about plants. Jessica is a certified clinical herbalist. She explains, “I have a really strong relationship with plants and plant medicine, and nutritional wellness.” A few years ago, she used that expertise to start a botanical skincare company called Moon Mother Medicinals (the parent company of Moon Mother Hemp Company). Her early products didn’t contain CBD. However, Jessica says that customers kept asking when she planned to add it, and so she decided to give it a try. She says that the results were amazing. The new CBD products were so successful that she and her husband, Edward, decided to take it a step further. “We decided to go all in and start a farm, growing hemp,” she says. The Bates partnered with Red Wagon Farm, a local certified organic farm. The partnership has given them access to some of the farming knowledge and equipment they didn’t have, however they grow the hemp themselves, planting all their seeds by hand, tending to the plants, and harvesting the CBD. Edward Bates is the lead farmer. As a former cannabis care provider, he has more than ten years of experience with cannabis. Jessica creates the CBD products; both tinctures—to be taken orally—and topical formulations. There is also a tincture for pets. Creating the cleanest-possible products is very important to her. “We have a passion for extremely clean, edible products that are safe for us and our children, and our community,” she says, “We strive to bring the absolute cleanest products to everyone around us.” All ingredients are USDA certified organic. For the topical products, she uses the highest-quality butters, oils, and waxes that she can find—all certified organic—and never adds filler oils. Moon Mother Hemp Company also has its products tested in a laboratory for potency and to screen for toxins like heavy metals and pesticides. Each CBD product has a batch code on the bottom. It’s easy to go the company website and enter the batch code to see the test results. 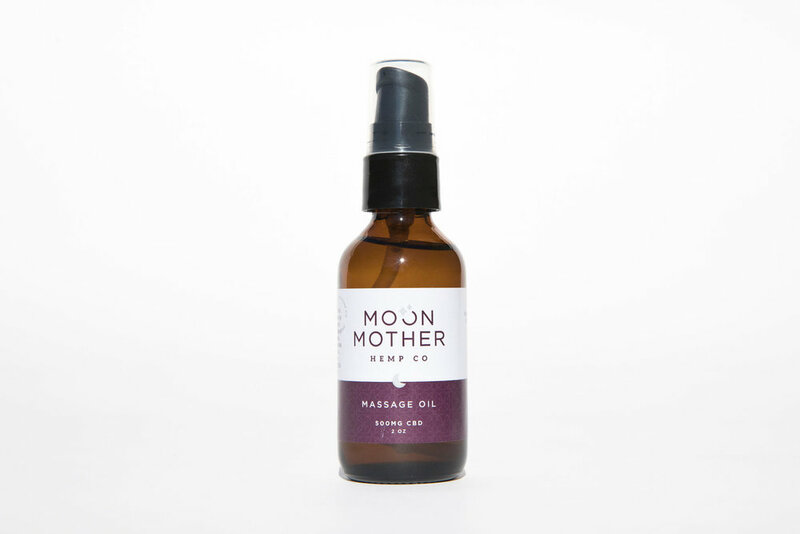 It’s not just a passion for clean products that makes Moon Mother Hemp Company stand out though. Jessica uses her extensive plant knowledge to create products that contain a unique blend of CBD and other beneficial botanical ingredients. For instance, the Glow Skin Serum contains CBD plus a blend of herbs and oils that will help hydrate and heal your skin. 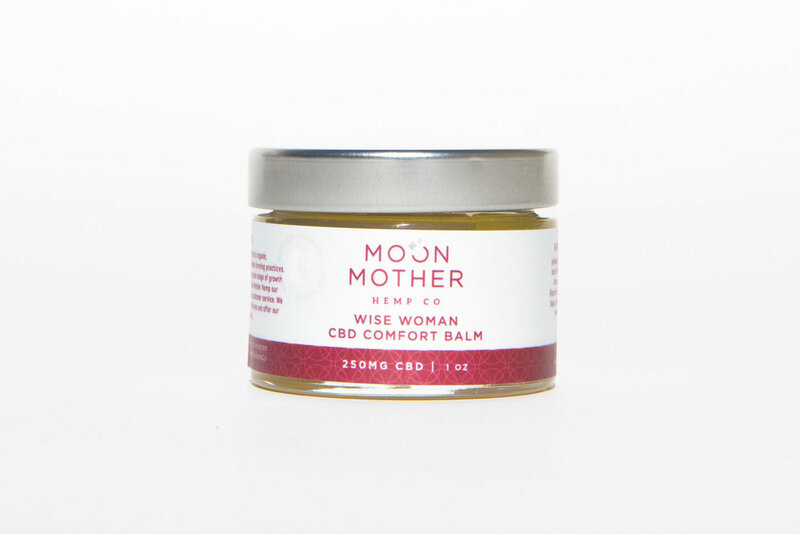 In addition to CBD, Wise Woman Comfort Balm—a best-seller—has herbs and oils selected specifically for their power to relieve menstrual cramps. Mother Moon Hemp Company products also have another unique element to them. As the company name suggests, that element is the power of the moon. Jessica and her husband try to plant their hemp and create their CBD products during specific phases of the moon in order to harness the energy of those phases. For example, she says that she begins infusing oils on the new moon, and also decants them on the new moon. For the Dream Balm, she does the opposite—starting on the full moon and decanting on the full moon—to bring a more calming, centering effect. 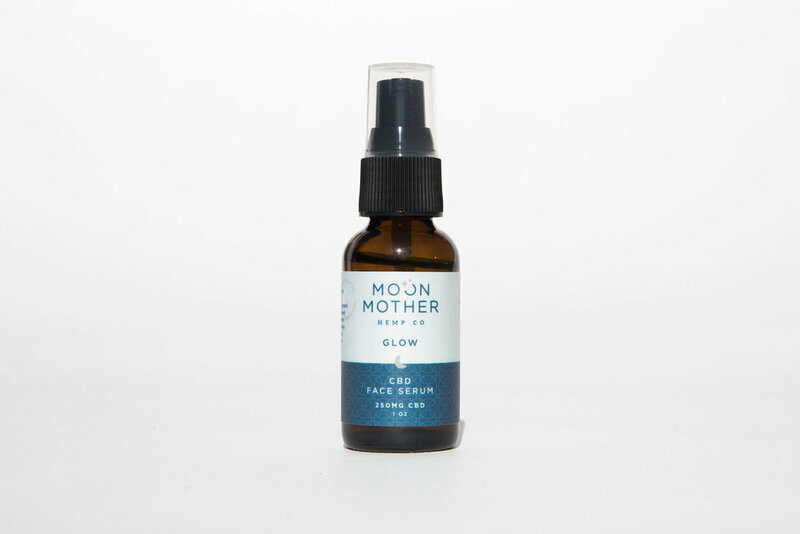 Shop for Moon Mother Hemp Company products here.